Señor Septic Construction & Pumping is a fully licensed and insured C-42 septic system company that provides the best value in septic tank installation, pumping, maintenance, and repair in Ontario, Highland, Fontana, and surrounding areas. We have more than 23 years of experience and thousands of satisfied residential and commercial clients throughout San Bernardino County. Our customers prefer to work with us for all their septic system needs because we consistently provide prompt, reliable service that meets the highest of expectations at fair and competitive prices. With every service that we provide, we focus on providing our clients with cost-saving, long-lasting septic system solutions. That’s why we use high-quality materials, follow the industry’s leading practices, and comply with all relevant city and county codes within Riverside, San Bernardino, and Los Angeles County. Call Señor Septic Construction & Pumping today to tell us about your septic system needs in Oxnard, Highland, Fontana, San Bernardino, or other nearby city. We’re available Monday through Friday, from 7am to 5pm, and by appointment on Saturdays, and have staff who are bilingual in English and Spanish. We do our best to meet the needs of our customers by providing prompt service, particularly for urgent septic tank pumping and inspection requests. 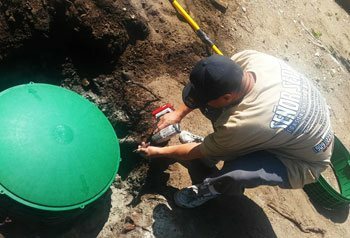 As a state licensed, fully insured septic system contractor with decades of experience, Señor Septic Construction & Pumping is qualified to provide septic tank system installation and replacement services throughout San Bernardino County, including Ontario, Highland, Rialto, Fontana, Bloomington, and Jurupa Valley, and nearby areas, such as Riverside. We install complete septic systems for new construction projects and replace failing septic tanks, leach lines, and seepage pits. We perform all work to code, and stand behind new septic tank installations with a one-year labor warranty. Among our thousands of satisfied clients, we have a stellar reputation for delivering exceptional workmanship at a fair price. Call today to schedule a free on-site consultation, during which we’ll review your property, evaluate your expected usage, and determine which tank type and size will best meet your needs. We sell top-quality, durable fiberglass and concrete septic tanks in a wide range of sizes, and excel in septic system design and installation for optimal performance and safety. We also install seepage tanks, drain fields, clarifiers, and grease traps. All septic system services are performed to code, and we can handle all required permits. 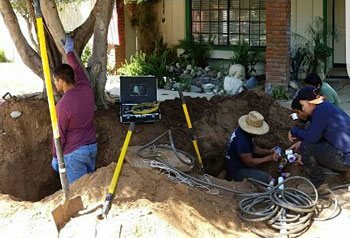 For septic tank pumping services in and near Ontario, San Bernardino, Highland, Rialto, Fontana, and Riverside, Señor Septic Construction & Pumping applies the industry’s leading practices to give every tank the best clean out possible. We are a fully licensed and insured C-42 septic system contractor with more than 15 years of septic tank system cleaning experience. Our modern and well-maintained trucks have a pumping capacity of 1,500 gallons, so we can efficiently and effectively pump out your tank and not leak any oil or other residue. In addition to removing the liquids and sludge from the tank, we also wash it out with a water hose. If we notice that a septic system is not working properly, we will analyze it and determine if repairs or replacement are required. Call Señor Septic for all your septic tank and seepage tank pumping needs today. If your septic system is showing signs of failure, you can count on Señor Septic Construction & Pumping to accurately assess the problem and get it repaired or replaced as quick as possible. We’re a fully licensed and insured C-42 septic system contractor with more than 23 years of experience and thousands of satisfied clients. When you call for service, we will send out one of our knowledgeable and highly experienced technicians who can be trusted to determine the underlying issue. This initial inspection service is free is the tank is open and exposed; if not, we will need to charge a labor fee if you want us to dig up your tank. Because most septic tanks are manufactured to last a lifetime, we do our best to restore a system’s functionality by adding new drain fields or leach lines, replacing a broken distribution box (D-box), riser, or lid, or rebuilding a baffle wall. Call today to tell us about your septic system repair needs in Ontario, Highland, Rialto, Fontana, Bloomington, Jurupa Valley, Riverside, San Bernardino, or other nearby city. Septic tanks are often installed to be as inconspicuous as possible. As a property changes owners over time, grass can grow over the tank or accidentally get built upon. If you believe you have a septic tank system on your property that you haven’t been able to locate, call Señor Septic Construction & Pumping. 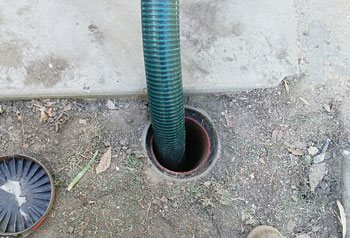 We’re the best choice for septic tank locating in San Bernardino County. We keep our rates very affordable and are able to successfully locate underground septic tanks 90% of the time. Once found, we can then dig up the tank’s lid or cut through the concrete to expose the tank for you. If we are unable to locate your tank, then there’s no charge. 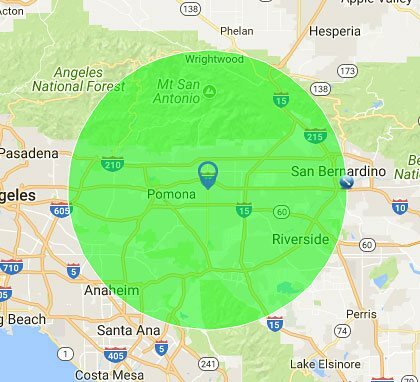 Call Señor Septic today for septic tank location anywhere in Riverside, San Bernardino, Ontario, Highland, Rialto, Fontana, Bloomington, Jurupa Valley, or other nearby location. As a fully licensed and insured C-42 septic system contractor with more than 23 years of field experience, you can be sure that Señor Septic Construction & Pumping will perform a comprehensive septic system inspection to make sure that any potential problem is not overlooked. 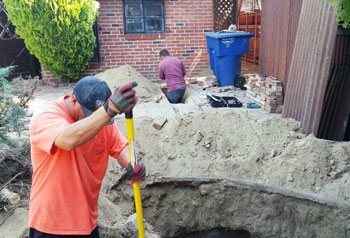 We offer septic tank inspection services to realtors, homeowners, and escrow companies in and near Ontario, Highland, Rialto, Fontana, Bloomington, Jurupa Valley, San Bernardino, and Riverside. Our certified septic system inspections include measuring septic tanks (or seepage pits), assessing a tank’s integrity, inspecting the leach field, water testing the leach lines, and running a camera through the lines to check for possible damage. Most septic system and drain field inspections can be scheduled within 1-3 days. Appointments are available Monday through Saturday. Hector and his team were very professional and did a great job! He was very informative about letting me know what I needed to do to keep my septic tank in optimal condition. They did an amazing job installing new risers and access covers to our septic tanks. After having other quotes he definitely was the most knowledgeable, reasonable, and prompt which I truly appreciated. I will definitely be using Senor Septic again in the future for all my septic needs and highly recommend them.